Skiddaw House, a Youth Hostel these days, appears down in the valley. 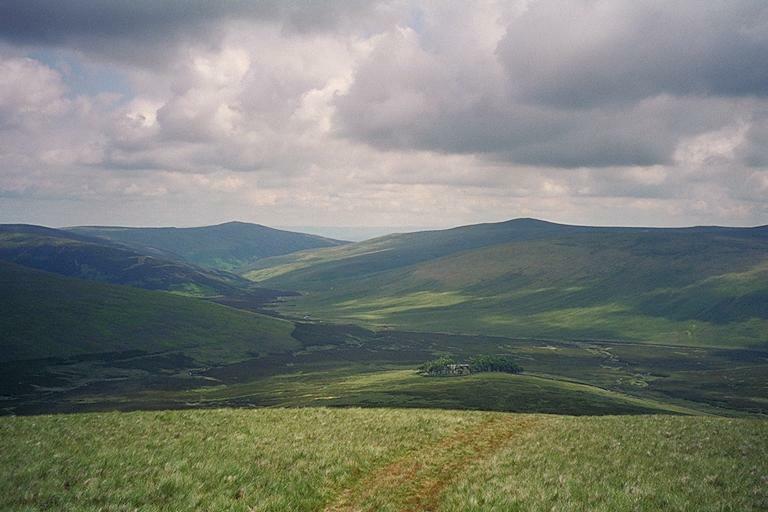 Carrock Fell is seen the horizon with the slopes of Great Calva and Knott (Snab) on the left; and Mungrisedale Common on the right. Smaller version of this picture.